March 19, 2019 GRAND RAPIDS, Mich. — For the second year in a row, Grand Rapids Community College trustees approved a 0.8 percent tuition increase, part of an effort to keep higher education affordable and provide opportunities for more students across West Michigan. It’s the first time in GRCC’s history that tuition increases have been kept under 1 percent for consecutive years. President Bill Pink said the new tuition rate, approved unanimously by the board of trustees on Monday, is the result of GRCC’s focus on keeping a college education accessible and affordable for students of all ages. That includes high school graduates looking to earn credits for a degree to transfer to a four-year institution, students seeking skills for new and evolving fields, and adults heading back to the classroom to complete a degree or head along a new pathway. The in-district tuition rate of $115 per credit hour is a 0.87 percent increase from the 2017-2018 rate of 0.88 percent. It’s the lowest percentage increase since GRCC separated from the Grand Rapids Board of Education in 1992. The total cost for a fulltime student will be $3,909 for the year. Even with the tuition increase, students eligible for a full Pell grant award – which has increased by $100 -- will have more than $2,000 available to cover textbooks and other educational expenses. The college has other approaches to keeping the cost of attending affordable. 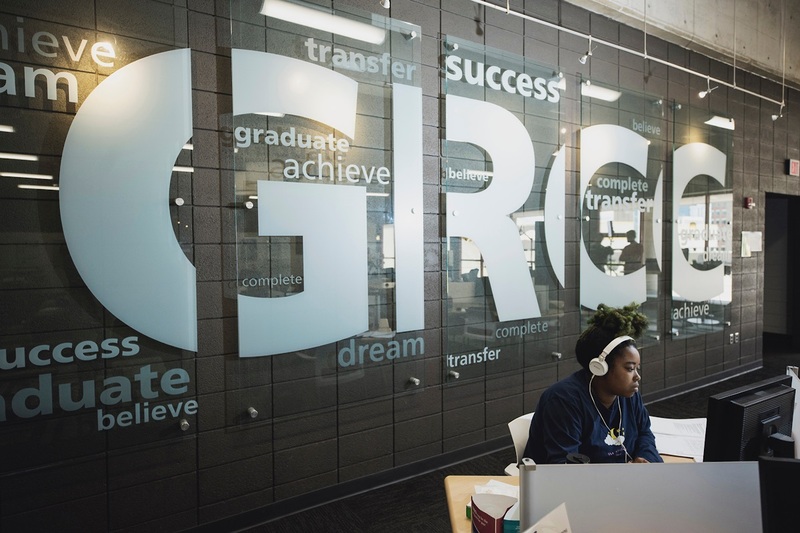 GRCC has partnerships throughout West Michigan with local school districts and intermediate school districts for Early/Middle College and dual and concurrent enrollment programs. More than 1,670 high school students take post-secondary classes at GRCC with no cost to them. The Grand Rapids Community College Foundation also is working with partners to help with college expenses. Last year, the foundation awarded more than $1.1 million in scholarships.